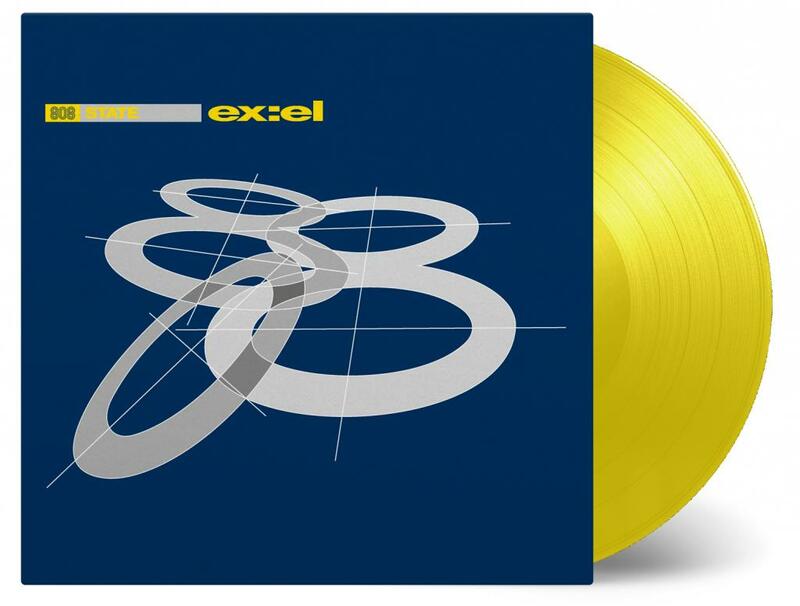 Music On Vinyl are releasing ex:el on 180 gram audiophile vinyl. The expanded version includes gatefold sleeve, 4 page booklet and 4 bonus tracks. 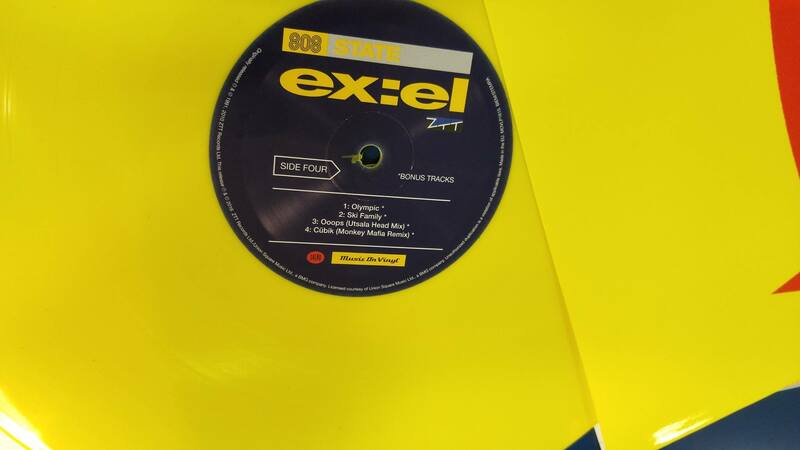 Limited edition on yellow vinyl! Cat: MOVLP1615. Release date: June 2016. Here is the announcement as found in the Pacific RSD 2016 sleeve. Thanks to SteveC for the picture. The bonus tracks include Ooops (Utsala Head Mix) and Cübik (Monkey Mafia Remix) which didn't feature on the deluxe CD release. Out now! Agent King has just picked up a copy at Sister Ray in London. 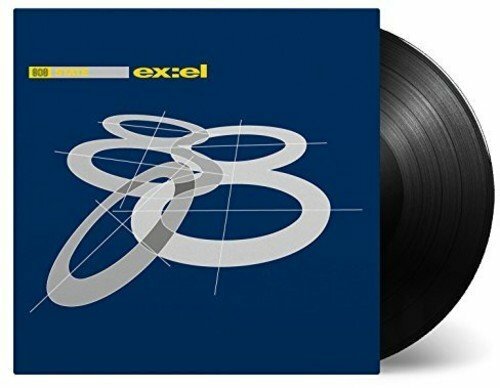 Confirmation that unlimited version in black vinyl is out now too. Ian Peel is still incapable of getting the name "Utsula Head" correct – even when he places emphasis on it in one of his lousy essays. His standard of research is poor. The Monkey Mafia remix is from 1998; it doesn't belong on a reissue of a 1991 album. 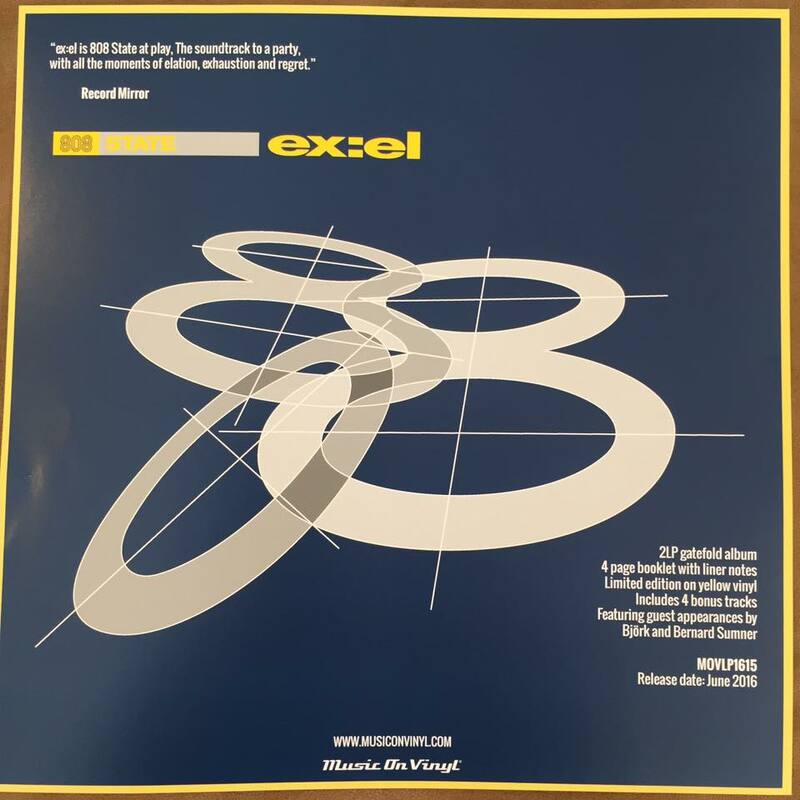 There are many contemporary remixes from 1991 that could have been included instead.